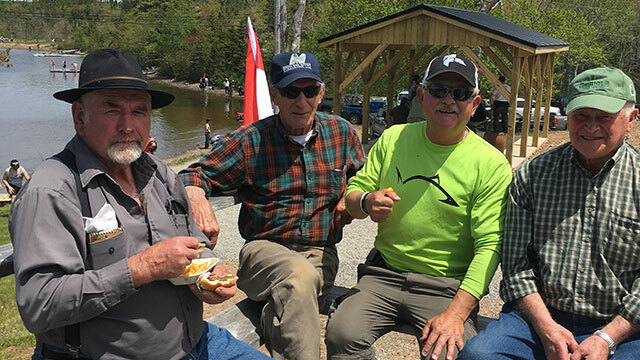 I had the privilege to participate again in the annual fishing derby hosted by Guysborough District Fish & Game Association on Saturday June 16. I was there promoting the World Fishing Network and the Line Cutterz Ring, while trying to hook one off those tag trout that could land you a big prize. The derby took place at their club house on MacPherson Lake in Nova Scotia. The club house made some new additions since the last time I was there, and I must say … it looks good. People say that this derby used to be one of the biggest derbies on this side of Montreal in the early days. On this day, there were over 300 participants looking to hook a prize. The fish were biting early, then stopped biting, but a lot of big trout were caught. At the end of the day there were lots of prizes and draws given out by the well-organized group of volunteers from the G.D.G.F. association. I got the chance to talk to other anglers about fishing and the Line Cutterz Ring. 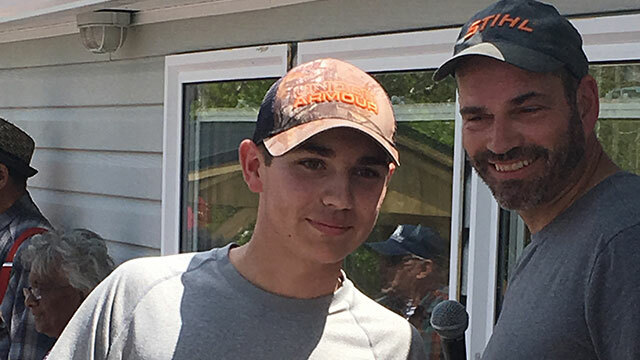 The top prize of $500 for the biggest-tagged trout went to Kallum Kelly in the adult division, and another lucky winner got the entry draw of $1000 from this year's sponsor, Lobsters R Us. If you get a chance, take in this derby. The people are good, the food is good, the prizes are good and of course, the fishing is great!